The VHELIOS product series introduces the concept of “super-dehumidification” or “super-drying” for the first time in the market. 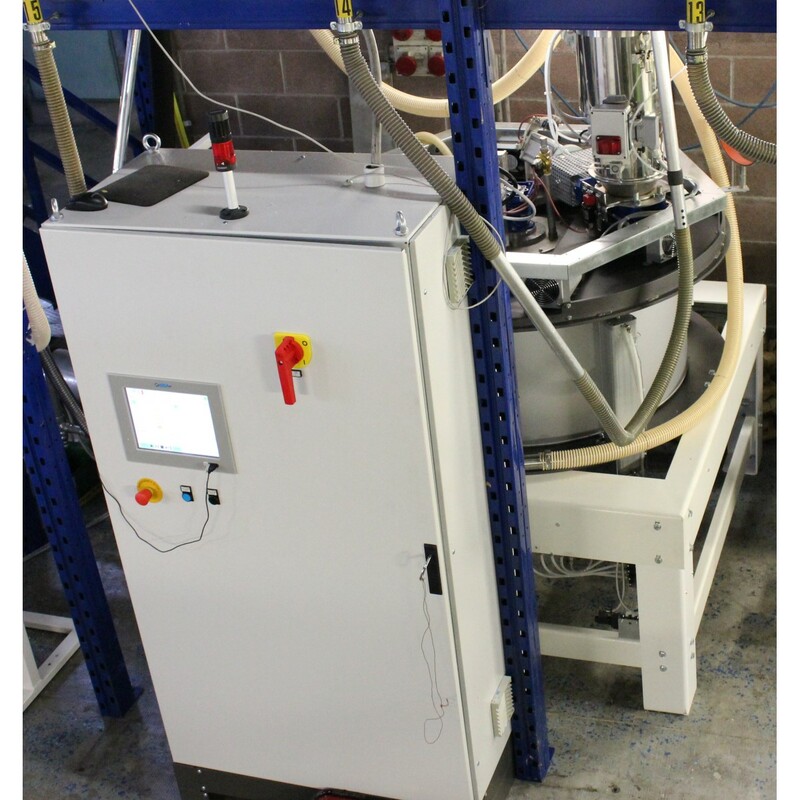 It is known that the so-called “hygroscopic” plastic polymers, before being transformed by a IMM, an extruder or a blower, must be dehumidified to prevent aesthetic or mechanical defects in the final product: for most applications, the traditional dehumidifiers by convection (“desiccant dryers”) are sufficient. But what to do when the final residual moisture must be close to zero or the plastic polymer is sensitive to oxidation or the initial moisture of the polymer is too high or, simply, as in the case of powders, the air is not applicable as moisture extraction means? In these cases, the super-dehumidifiers of the VHELIOS series are the solution. The super-dehumidifiers of the VHELIOS series use an irradiation heating system, thanks to which the energy is transferred directly to the material, therefore without any “medium” that could alter the nature of the plastic polymer. The humidity, on the other hand, is extracted with the application of the vacuum up to a residual pressure lower than 0.1 mbar. The result of this combination of radiation and “stripping” allows VHELIOS super-dehumidifiers to obtain extreme levels of dehumidification, quickly, with low energy consumption, without oxidation and in any case without interference of foreign agents with the plastic polymer. 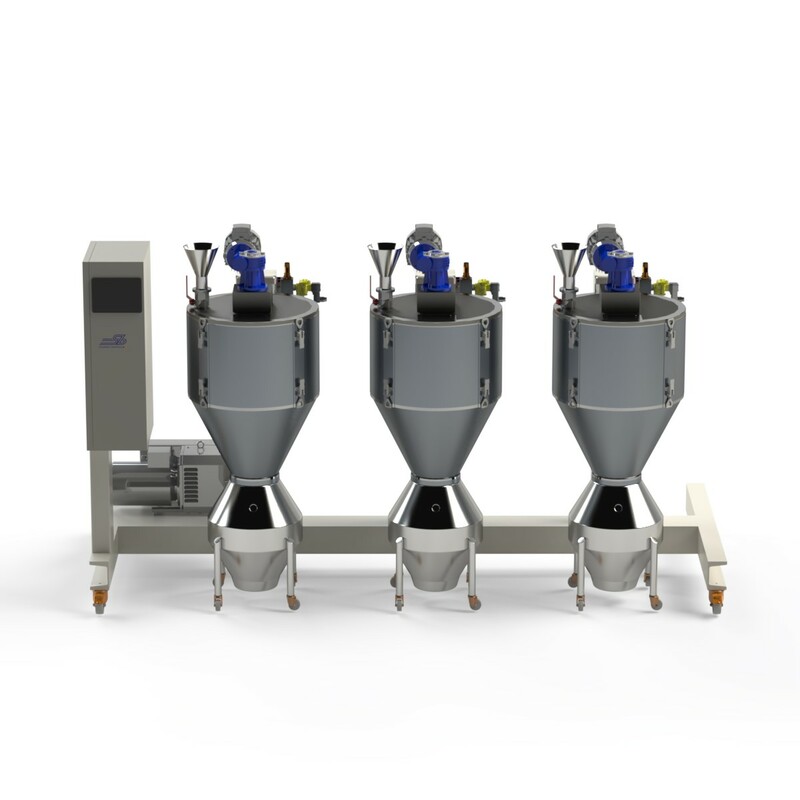 The super-dehumidifiers of the VHELIOS series are currently produced in sizes from 5 to 60 LT and can be configured as single units or as multiple units with centralized vacuum to allow the treatment of different polymers simultaneously. To guarantee uniform treatment in terms of temperature and final humidity, the process takes place in batches. Once dehumidified, the material can be immediately transformed or stored under vacuum until used. 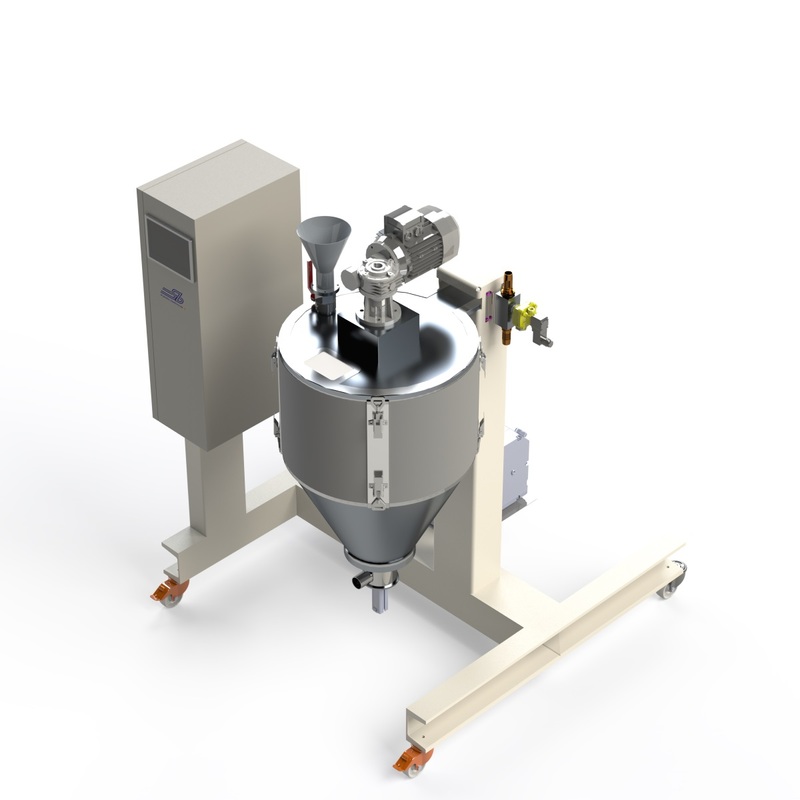 The variety of treatable materials is wide both in terms of granulometry (granules, flakes, powders, etc.) and mixtures. The efficiency in heating is maximum, since the irradiation is selective and, under vacuum, increases its efficiency up to 30%. 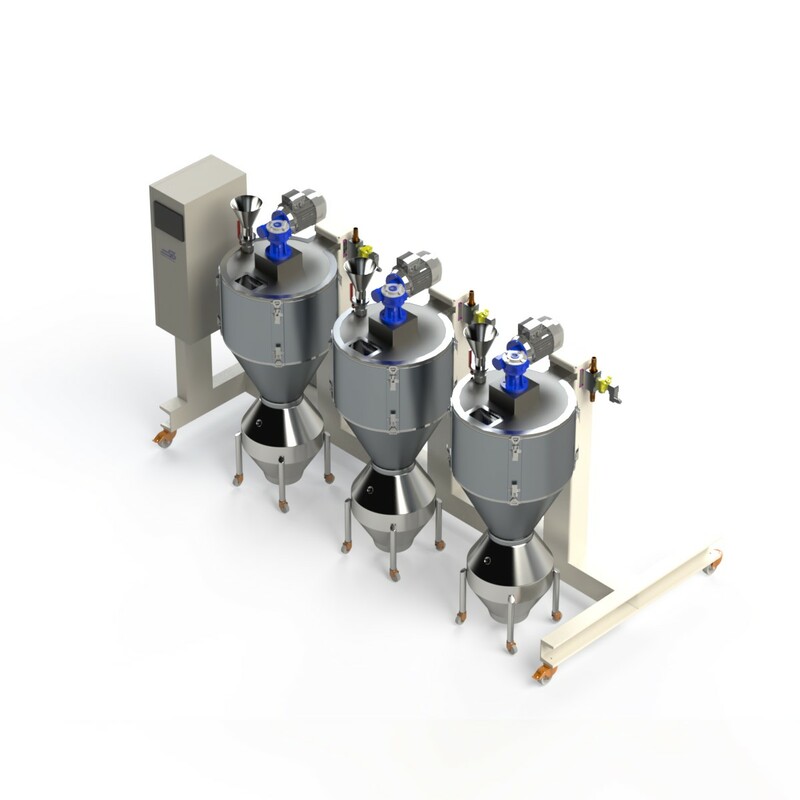 The batch process ensures that all the mass of material is heated and dehumidified evenly. The vacuum environment in which the material is treated preserves from oxidation, lowers the boiling point of water so anticipating the dehumidification process, acts as an insulator ensuring the preservation of heat and, at the same time, increases the efficiency of the radiation. The temperature is controlled directly in the material for greater accuracy during heating. VHELIOS super-dehumidifiers: all the others are just imitations.